This device has an eInk device, dmesg shows an EPDC driver is used. 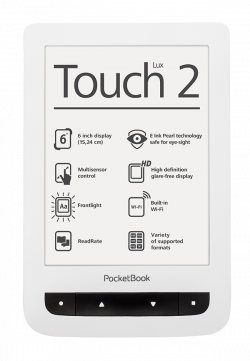 An almost identical device exists, the Touch Lux 3. Mother board has some subtle differences, both uses the same firmwares. I tried tweaking the A13-OLinuXino_defconfig. Added: CONFIG_MMC_SUNXI_SLOT_EXTRA=2 to get u-boot doing something. There are obvious issues with MMC detection. MMC2 (internal slot) seems to work perfectly, whereas MMC0 (external slot) does not really work. It seems detected ("mmc list" command) but issuing "mmc dev 0" has no effect: command returns code 1 with no error message. Even with this, it is still possible to boot a mainline linux kernel, but it has the same issue with external slot. Please look at the "discussion" tab of this page, I added some notes. But that did not help since everything seems good in device tree (clock definition, bus width etc.). Manufacturer SD image boots the old boot0 / boot1 / boot.axf way, then starts an uImage Linux 3 kernel (as of firmware 5.14.1225). We can find source code for the kernel here, but I think it is incomplete, and while I built it successfully, I have not been able to boot it. [    0.011322] try to parse apb frequency from script faild! [    0.040806] standby_mode = 1. [    0.060200] [spi-2]: driver probe succeed, base d08b6000, irq 12, dma_id_rx 4, dma_id_tx 5! [    0.062225] GpioKey_probe: hxm GPIOKEY__used. [    0.119570] [mmc]: mmc 0 power off !! [    0.119653] [mmc]: mmc0 Probe: base:0xd08c0000 irq:32 dma:0 pdes:0xffdff000, ret 0. [    0.119894] [mmc]: mmc 2 power off !! [    0.119945] [mmc]: mmc2 Probe: base:0xd08c2000 irq:34 dma:0 pdes:0xffdfe000, ret 0. [    0.120535] [mmc]: mmc 2 power on !! [    0.142824] [mmc]: sdxc_request_done(L1116): smc 2 err, cmd 52,  RTO !! [    0.143650] [mmc]: sdxc_request_done(L1116): smc 2 err, cmd 52,  RTO !! [    0.150103] [mmc]: sdxc_request_done(L1116): smc 2 err, cmd 5,  RTO !! [    0.150908] [mmc]: sdxc_request_done(L1116): smc 2 err, cmd 5,  RTO !! [    0.151712] [mmc]: sdxc_request_done(L1116): smc 2 err, cmd 5,  RTO !! [    0.152516] [mmc]: sdxc_request_done(L1116): smc 2 err, cmd 5,  RTO !! [    0.234763] VFS: Mounted root (ext2 filesystem) on device 179:7. [    0.555707] ctp_fetch_sysconfig_para: ctp_twi_id is 2. [    0.555717] ctp_fetch_sysconfig_para: screen_max_x = 1024. [    0.555727] ctp_fetch_sysconfig_para: screen_max_y = 758. [    0.555737] ctp_fetch_sysconfig_para: revert_x_flag = 0. [    0.555748] ctp_fetch_sysconfig_para: revert_y_flag = 0. [    0.555758] ctp_fetch_sysconfig_para: exchange_x_y_flag = 0. [    0.560153] script parser fetch err. [    0.560162] ctp_init_platform_resource: tp_wakeup request gpio fail! [    0.676899] CONFIG_FT5X0X_MULTITOUCH is defined. [    2.046487] ctp_set_irq_mode: config gpio to int mode. 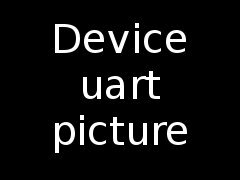 [    2.046521] ctp_set_irq_mode, 259: gpio_int_info, port = 7, port_num = 11. [    2.312802] FAT-fs (mmcblk0p1): utf8 is not a recommended IO charset for FAT filesystems, filesystem will be case sensitive! [    5.694099] RTL871X: RF_Type is 3!! [    5.696100] RTL871X: Boot from EFUSE, Autoload OK ! [    5.706373] RTL871X: =====> _8051Reset88E(): 8051 reset success . [    5.764345] RTL871X: Set RF Chip ID to RF_6052 and RF type to 1T1R. [    5.792569] RTL871X: =====> _8051Reset88E(): 8051 reset success . [    9.904259] RTL871X: Set RF Chip ID to RF_6052 and RF type to 1T1R. [    9.927601] RTL871X: =====> _8051Reset88E(): 8051 reset success . [   10.931357] RTL871X: Set RSVD page location to Fw. [   10.935829] RTL871X: cfg80211_rtw_set_default_key(eth0) key_index=0, unicast=1, multicast=0. [   12.649008] pocketbook (72): /proc/1/oom_adj is deprecated, please use /proc/1/oom_score_adj instead. The size of Boot1 is 0x00038000. Succeed in loading boot1 from sdmmc flash. To get out of FEL mode, press power button for 10s. Which is consistent with fdisk output considering the 0x0140000 offset. Altering primary partition #1 and adding primary partition #4 is fine even if the MBR at 0x01400000 is not modified. But removing the other partitions makes boot1 fail the fs check and enter FEL mode. Serial TTL signal pads are clearly labeled on the board. Soldering is required. Insert the Plastic_tool between the back cover and the front cover. You can look at this video https://www.youtube.com/watch?v=c7AUData0UA Personally, I am using Dunlop 1.14mm guitar picks, it is not the most convenient but does the job.